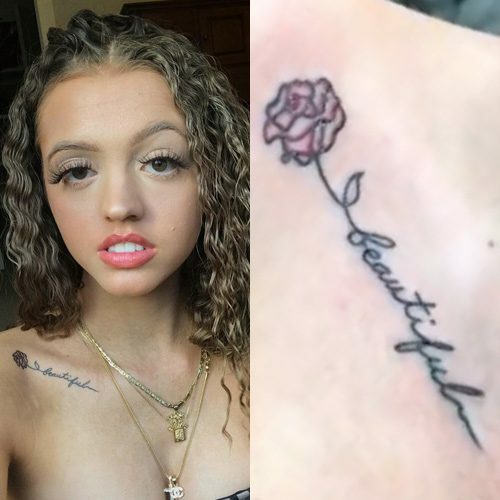 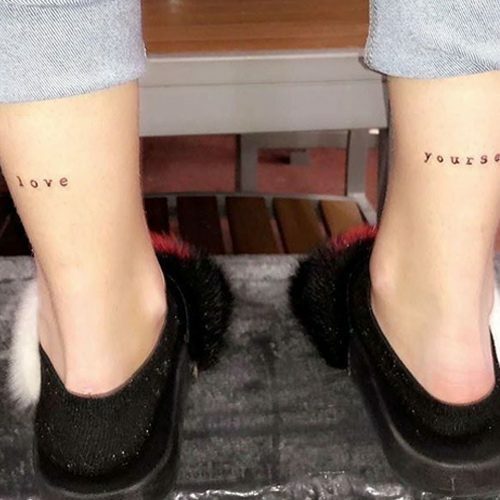 Woahhvicky has the words “love yourself” on the back of her ankles. 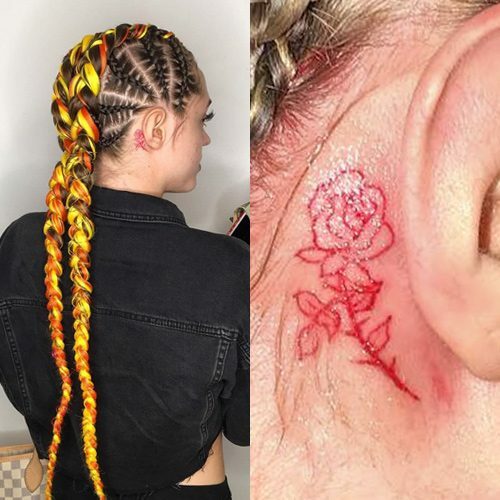 Woahhvicky has a red rose tattoo behind her right ear. 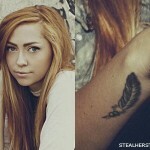 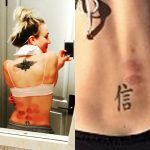 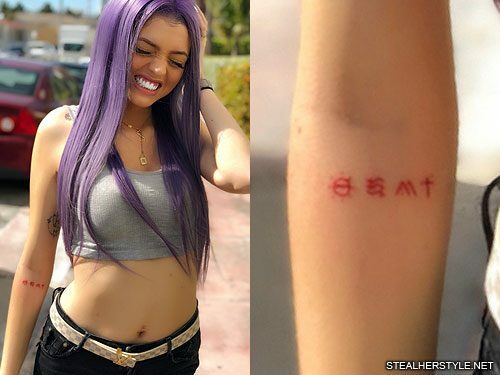 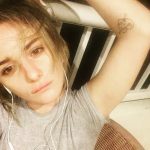 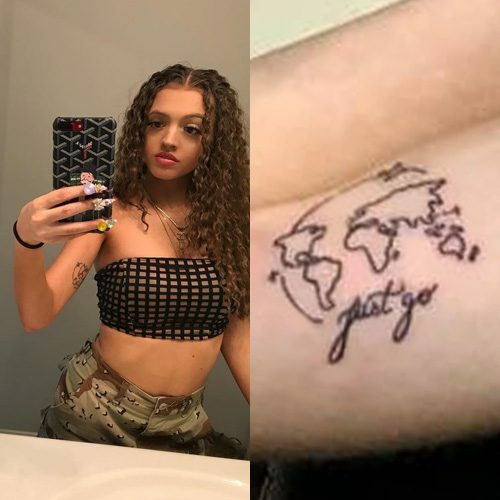 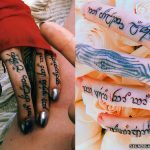 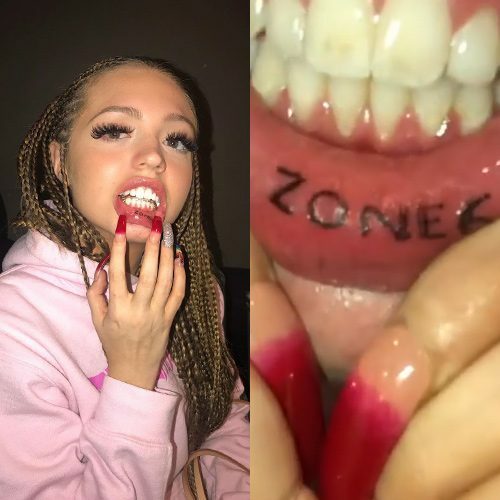 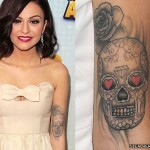 Woahhvicky tattooed her name “Victoria” in red ink and Arabic script on her left ribs. 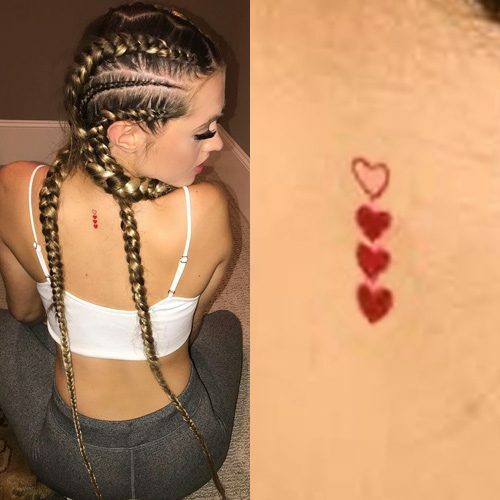 Woahhvicky has four red hearts tattooed on her back: 3 full color and one outlined.